We are proud to share results and highlights from 2015 – the most impactful year in TechnoServe’s history – and the stories of the enterprising people who inspire us with their hard work and their vision for a better future. For nearly fifty years, TechnoServe has been a catalyst and partner for transformative market-based solutions to poverty. We work with a range of partners – from smallholder farmers and entrepreneurs to governments and multinational corporations – in order to drive lasting change not just for individuals and families, but across whole value chains at a national scale. Our innovative corporate partnerships are creating shared value around the globe. 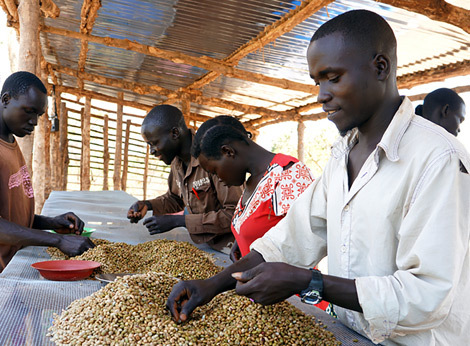 Working with Nespresso, we are rebuilding South Sudan’s coffee industry from the ground up – training farmers to improve their agricultural practices, establishing the country’s first coffee farmer cooperatives to process high-quality coffee, and laying the foundation for a vibrant industry. This led to the first international sale of South Sudanese coffee in Europe late last year. Nespresso sold out of the coffee in just two weeks and plans to expand the project. 2015 also saw the launch of an innovative corporate partnership helping the Kellogg Company integrate more women farmers into its supply chain. In December, TechnoServe successfully completed two large projects in partnership with The Coca-Cola Company, increasing the fruit incomes of more than 75,000 smallholder farmers in Haiti, Kenya and Uganda while developing sustainable exit strategies to ensure continued benefits for all stakeholders. We made strides across our portfolio in 2015. In Benin, we started a large five-year project funded by the U.S. Department of Agriculture to strengthen the country’s entire cashew value chain. 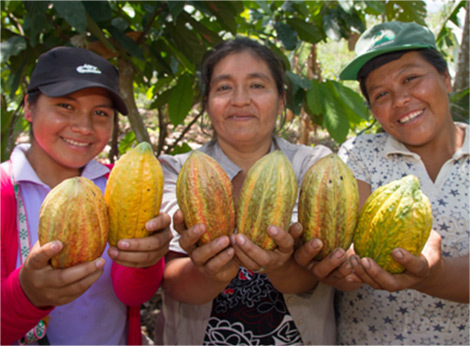 In Peru, our work with farmer groups and other public- and private-sector partners has increased the competitiveness of the cocoa sector and improved the livelihoods of thousands of people. In East Africa, we launched an expanded partnership with the MasterCard Foundation to create economic opportunities for more than 48,000 rural youth. And President Obama praised our work with Partners in Food Solutions in Ethiopia when he visited Faffa Foods – one of 600 African food processors the partnership is supporting to promote food security and drive economic growth. TechnoServe is grateful for the support of our donors, partners and allies. Working together, we have helped farmers, businesses and employees generate tens of millions of dollars in new revenue. We look forward to growing our impact in the years ahead, and helping more families and communities build a brighter future. Dive deeper into our results with our 2015 Impact Report. Meet some of the enterprising men and women who are working with TechnoServe to build a brighter and more prosperous future. From President Obama’s visit in Ethiopia to the launch of the first coffee exported from South Sudan, see some of TechnoServe’s biggest stories in 2015. TechnoServe is a leader in harnessing the power of the private sector to help people lift themselves out of poverty. TechnoServe is able to maximize its impact in poor communities thanks to the generous support of individual donors, who gave 17,330 gifts in 2015. Learn more about ways you can contribute to growing our impact. TechnoServe’s staff of more than 1,540 combines business expertise with local knowledge, relationships and context. More than 90 percent are from the country where they work. TechnoServe is overseen by a talented group of leaders in finance, business, academia and law. Our board ensures that the organization faithfully pursues its mission and has the resources and direction it needs to be successful. In 2015, 73 Volunteer Consultants worked on projects in 18 countries, from assessing value chains to crafting business strategies. Learn more about our Volunteer Consultants. Public and private partners are a key component of TechnoServe's success. In addition to critical financial support, many of our partners provide market opportunities for our program participants, as well as world-class business and industry expertise that we can leverage to help build a thriving private sector in the countries where we work. Some of our major partners appear below. See more of our partners. TechnoServe strives to maximize accountability, transparency and efficiency. For the tenth consecutive year, TechnoServe has earned a 4-star rating from Charity Navigator, America’s largest independent evaluator of charities, placing TechnoServe in the top 1 percent of all rated charities. As a GuideStar Platinum Early Adopter, TechnoServe was one of the first nonprofit organizations to receive GuideStar’s highest level of recognition. See our full financial report. Interested in receiving weekly shots of inspiration? Share your email to receive exclusive stories over the next four weeks about enterprising men and women who are lifting themselves out of poverty. When Christine Acan was just a child, she was abducted by Joseph Kony’s rebels. She was subjected to horrific psychological torture and was even forced to participate in the killing of her family members. 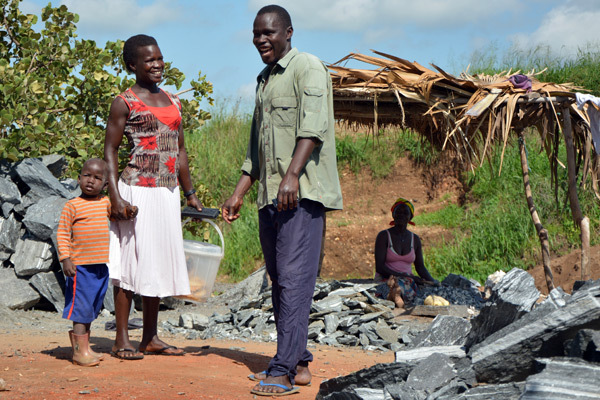 Christine eventually managed to escape her captors and, like millions of others across northern Uganda, looked for a way to rebuild her life. But she had few economic opportunities. Seeking a better future, she enrolled in TechnoServe’s Strengthening Rural Youth Development through Enterprise (STRYDE) program, which gives young people in East Africa’s rural communities training on life skills, business and a trade, so that they can start their own businesses or find paying jobs. In its first phase, which ended in July 2015, the project helped 15,000 youth increase their income by an average of 133 percent. The project’s second phase aims to help an additional 48,000 young people. 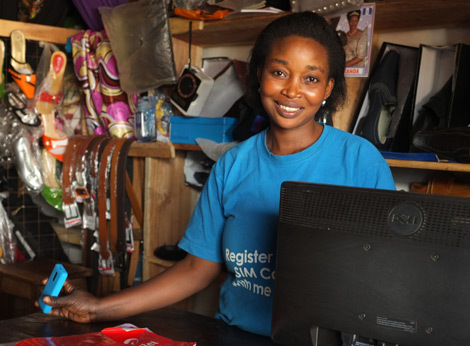 Christine Acan is building a safe and prosperous future for her family. Christine used her training – and a $6 investment – to start a bakery. Now, the 25-year-old earns $15 per day from the business. 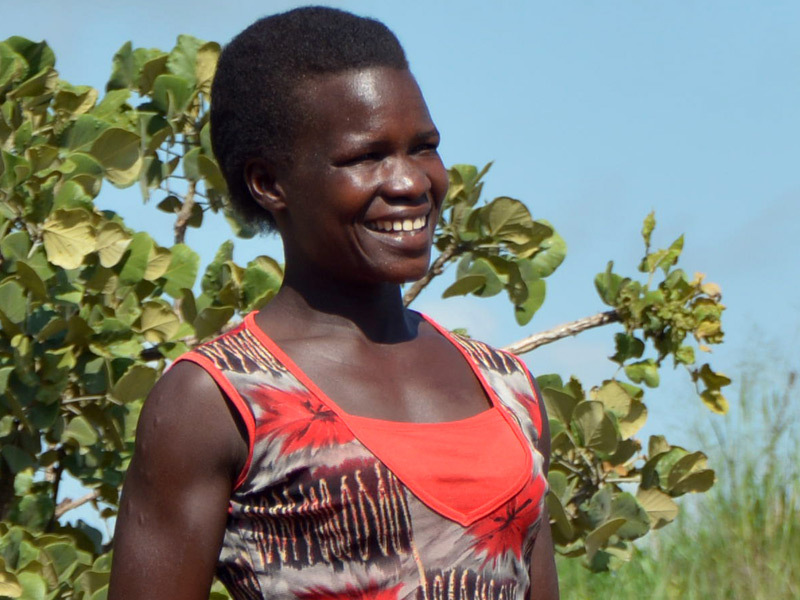 With her new income, she has been able to pay for her children’s school fees, invest in a rock quarry and even purchase her own land, where she plans to start commercial farming. “STRYDE changed my thinking about life and opened my eyes to be a more enterprising person,” she said. Help equip former refugees with the skills and knowledge to create successful businesses and improve their livelihoods. Abu Adam, owner of Damba Farms in northern Ghana, never pictured agriculture as a source of income for his family. He mainly farmed just to produce enough food for his family, selling the occasional surplus to add to his monthly salary. That was until TechnoServe and John Deere’s Mobile Training Unit offered a training in his community. 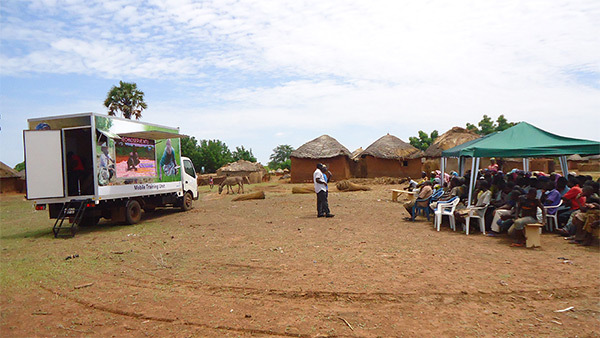 The program uses a truck outfitted with audio and visual equipment to reach extremely rural communities. 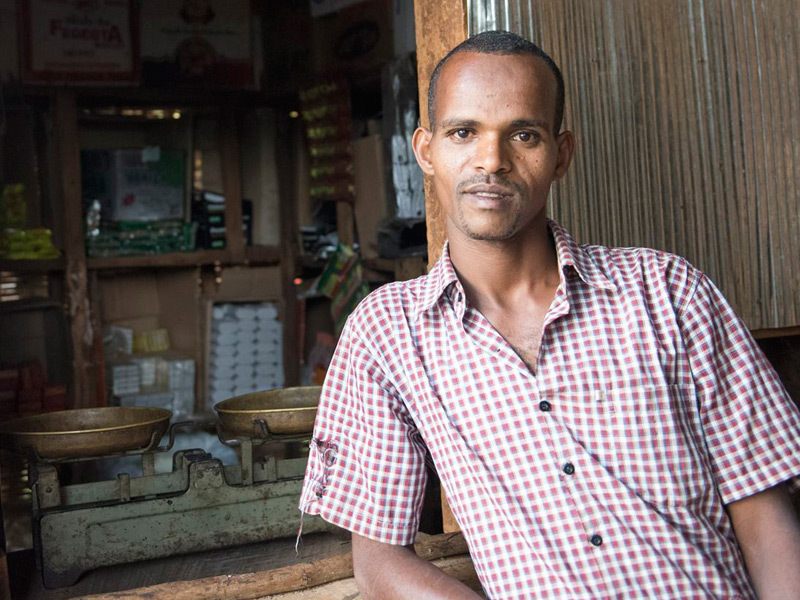 Using what he learned from the training session, Abu's yield at the end of the next harvest year increased so much, he became convinced he could make money from farming. 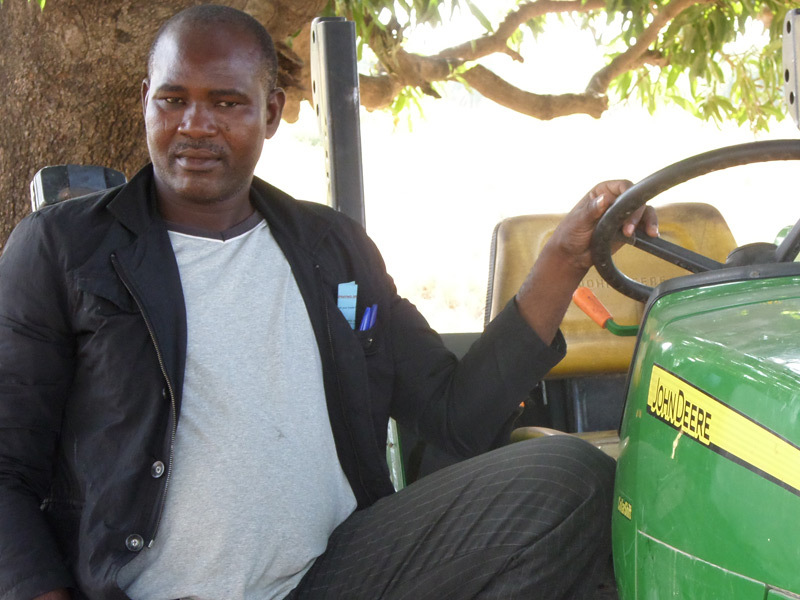 After Abu attended an entrepreneurship training program, TechnoServe helped him access a loan for a tractor. The Mobile Training Unit provides targeted training to rural communities in Ghana and Kenya, helping farmers generate $5.3 million in revenue in 2015. He then began providing tractor services for 420 small farmers, as well as loans for inputs for other farmers, who in turn sell their harvest to Abu to pay back the loans. This business model now includes nearly 2,000 farmers from neighboring towns. Abu’s business has grown so much that in 2015, Damba Farms produced 400 tons of rice and 230 tons of maize, netting a $46,000 profit. Abu Adam has received awards recognizing his service to the local farmers and serves as a role model encouraging others to take up farming as a business. 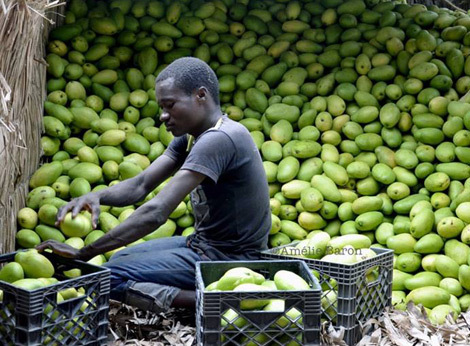 Give farmers the entrepreneurship training they need to turn farming into a business. Every morning at first light, Loise Wanjiru Waweru milks the cows on the dairy farm she runs with her husband. As members of Ndumberi Dairy Cooperative, they deliver most of their daily milk to a local collection point in Kiambu, Kenya. But until recently, Loise wasn’t seeing the results of their labor until she received payment at the end of the month. She had no way of reconciling the monthly receipt with the daily deliveries, and suspected that some of the milk was being stolen by farm workers or the collection center staff. Loise’s fears were well-founded. Fraud was causing the loss of 20 percent of the daily milk supplied to Ndumberi, resulting in a significant drop for member farmers and their families. 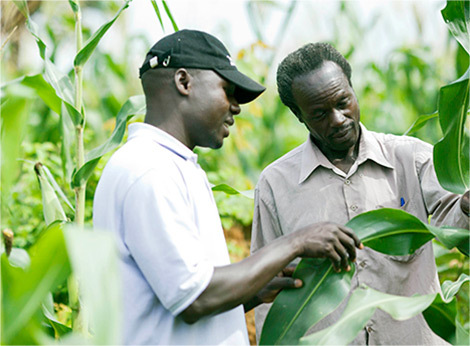 TechnoServe and our partners on the Connected Farmer Alliance developed a service to address these issues. 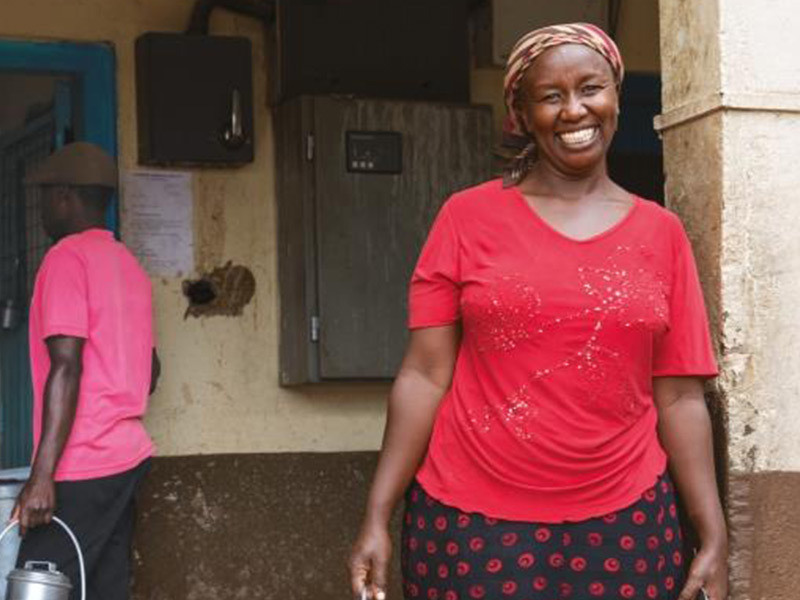 See how a digital innovation has eliminated fraud at Ndumberi Dairy and improved livelihoods for Louise and her fellow farmers. Now Loise receives an SMS receipt on her phone every day showing the exact amount of milk delivered. 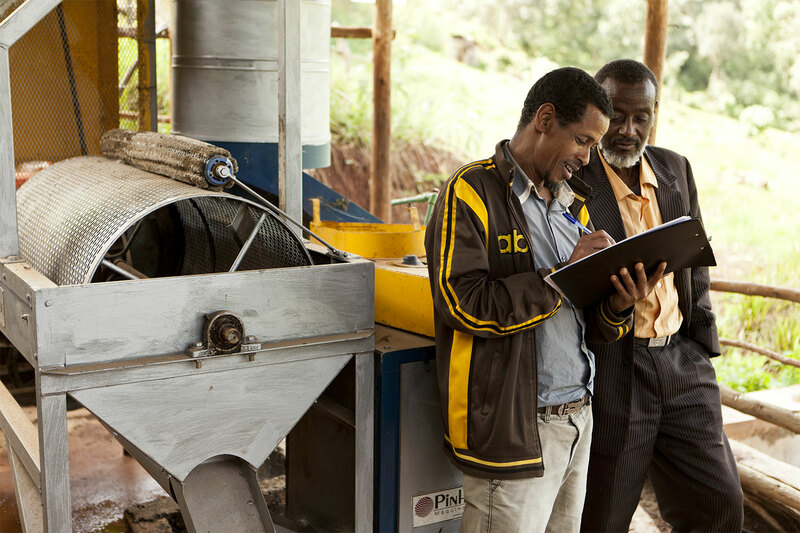 Daily receipts are just one of the services offered through the Connected Farmer platform, which uses mobile technology to improve how farmers work with agribusinesses. The solution allows businesses to register farmers, provide farming advice, make payments and extend farmer loans. Help farmers and businesses access digital solutions to grow their revenue. 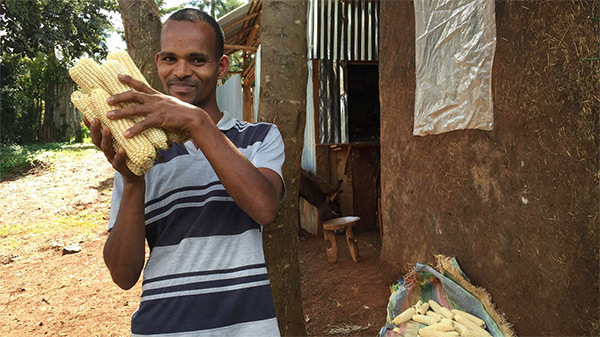 Like most coffee farmers in Ethiopia’s Jimma region, Aman Aboali also grows maize. In fact, maize stalks occupy nearly as much space on his hilly farm as the coffee trees do. But the yield and income from both crops were inadequate. “The farm did not produce enough to feed me from the proceeds,” he said. 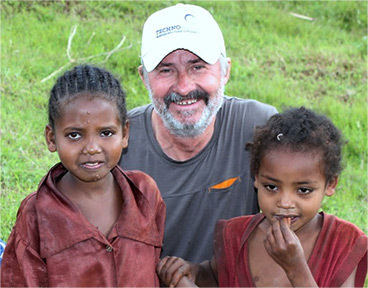 In 2012, Aman became one of more than 70,000 Ethiopian coffee farmers to receive training through TechnoServe’s Coffee Initiative. He learned how to make his coffee trees more productive, and by weeding, pruning and stumping them, he doubled their yields in three years. His coffee income increased by 64 percent. After increasing his coffee income through better farming, Aman was able to open a small shop and invest in maize to feed his family. Through the Coffee Initiative, which concluded its second phase in December 2015, Aman also learned how to make his maize crops more productive, but buying improved seed and the right fertilizer represented a major expense. 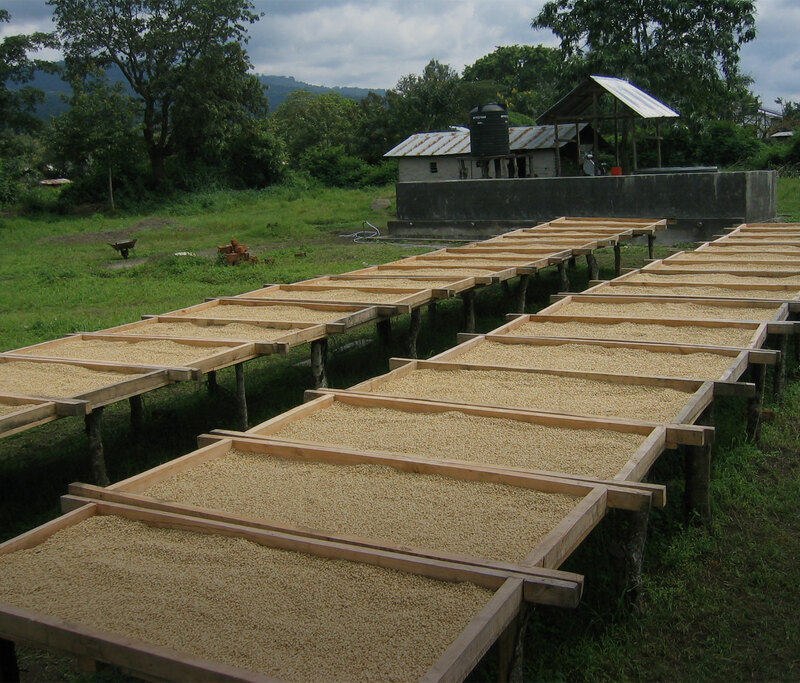 Fortunately, Aman could now afford it: “Income from coffee helped with maize inputs,” he said. Like Aman, more than three-quarters of the farmers trained on maize production adopted new and improved techniques. 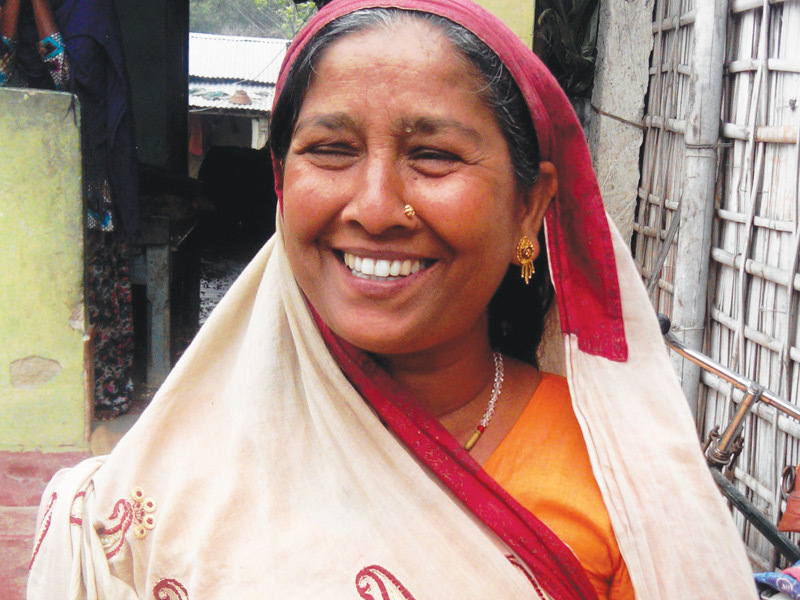 By 2015, Aman was growing 80 percent more maize – just in time to feed a growing family. He has big dreams for his infant son: “I want him to be an engineer,” he said, smiling. 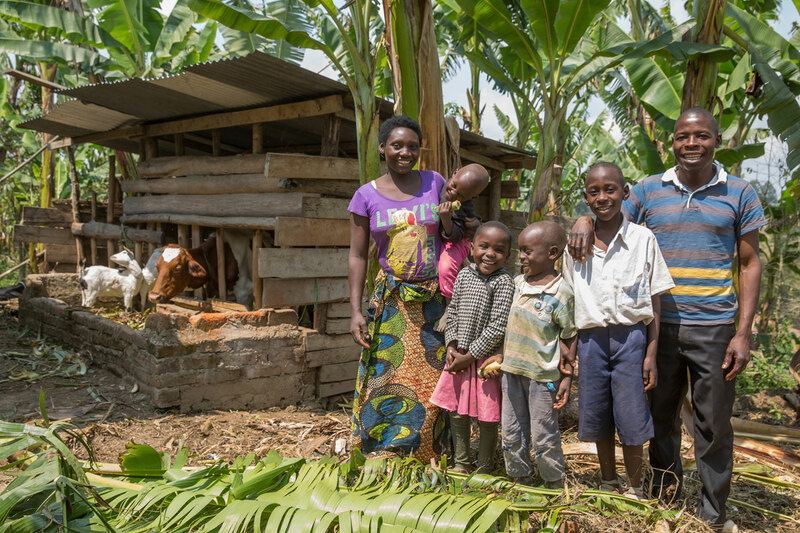 Give smallholder farmers the training and tools they need to support their family and feed the planet’s growing population. Orbelina Vásquez had long faced falling production from the coffee trees on her small farm in Honduras. Several years ago, she also witnessed drought and coffee leaf rust – a crop disease that has swept across Central America, decimating coffee trees, and is likely spurred on by climate change. For Orbelina, the timing could not have been worse: with one son in university and another hoping to follow in his footsteps, the single mother urgently needed to earn more money. 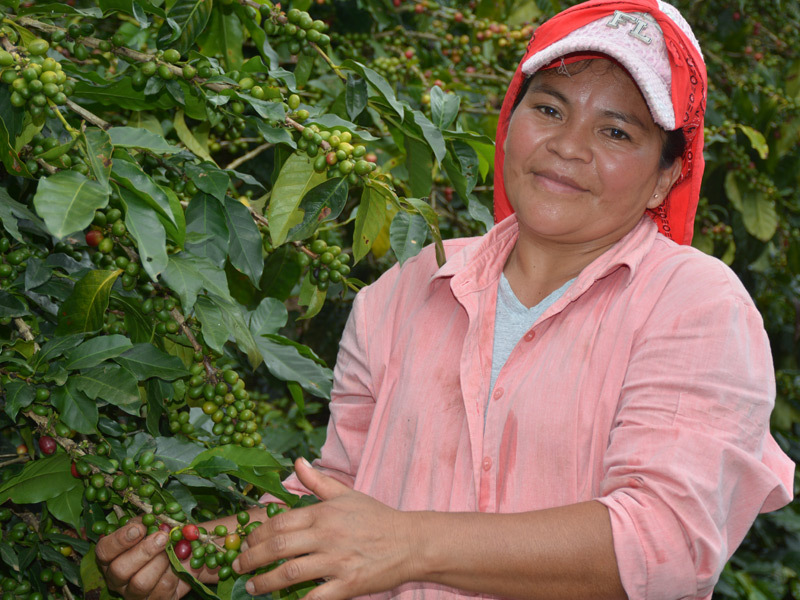 She was determined to improve her farm, so in 2014, she signed up to participate in TechnoServe’s Sustainable Agricultural Improvement program, which has benefited 26,500 coffee and bean farmers in Honduras. Coffee farmers like Orbelina have learned techniques to rejuvenate their coffee trees, making them more productive and resistant to leaf rust and other effects of climate change. By applying good agricultural practices like tree pruning, Orbelina defeated a destructive coffee fungus and doubled her yield. 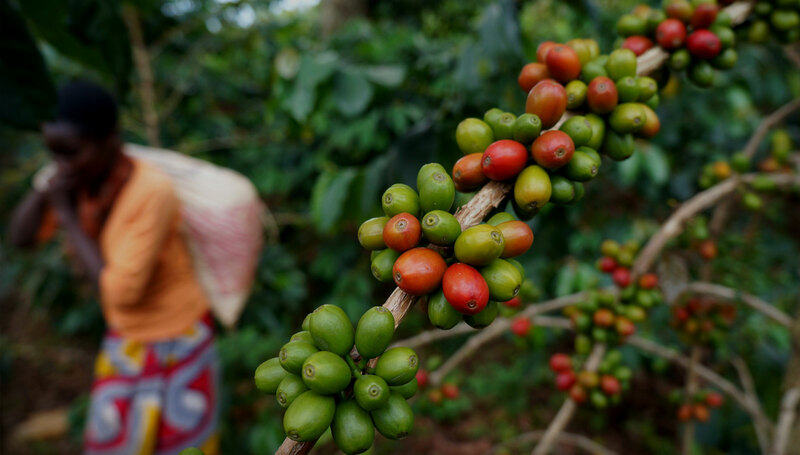 The project has also facilitated direct sales to coffee exporters – so farmers can earn higher prices – and access to financing for inputs that help make the coffee plants stronger. As a result, average yields have increased by 30 percent and revenues have increased by 60 percent. Orbelina’s farm is now doing better than ever. In just one year, her production doubled and the price that exporters pay for her coffee rose 50 percent above what she used to get from middlemen. 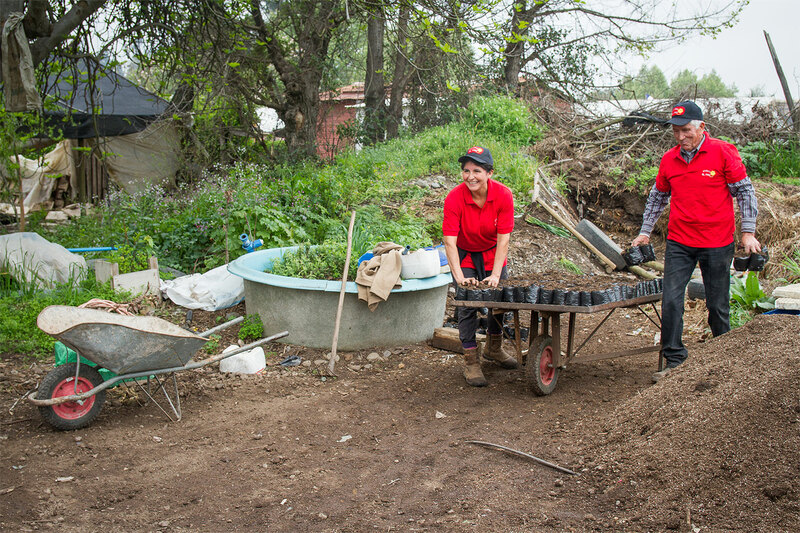 With her income tripled, Orbelina can now look to the future with optimism. 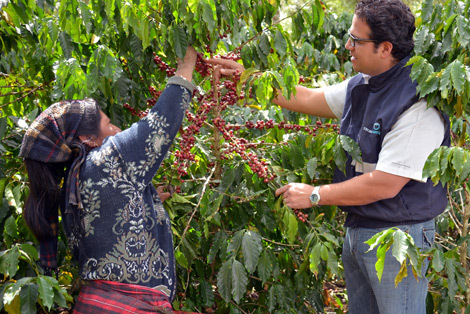 Did you know you can help a coffee farmer adapt to climate change with a gift of $60? 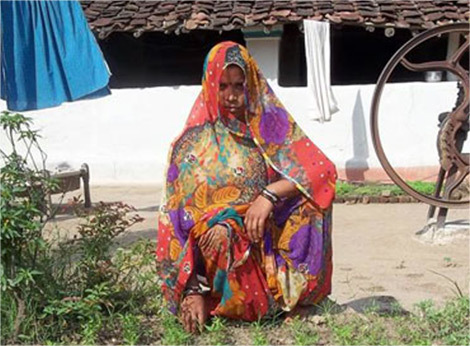 Shakila Khatun used to be dependent on an unorganized network of maize traders to sell her grain, resulting in a low price. These traders mostly determine maize quality by sight and feel, and the product was weighed manually. Without direct access to markets and large quantities to sell, Shakila and the small farmers of Purnia district in India’s Bihar State were unable to negotiate better prices. 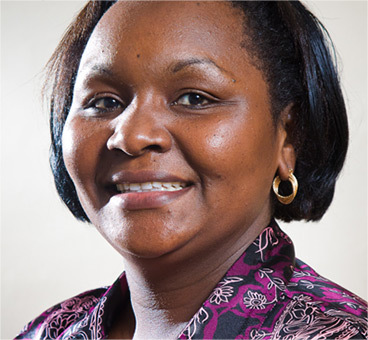 TechnoServe worked with businesses including AAPCL – an all-women’s maize producer company of which Shakila is a member – to facilitate sales over an electronic trading platform and aggregate harvests so that the women had larger quantities to sell. Women farmers in Bihar are reaping more profit from their maize thanks to transparency practices and direct electronic access to buyers. Member farmers were trained on improved post-harvest practices, including using electronic weighing machines and digital moisture meters to ensure transparency during collection and sales. “This is the first time in my life I’ve seen someone procure maize from a farmer’s door step with such transparent procedure," said Shakila. Within three days of each sale, payment would be credited directly to her account, ensuring Shakila timely access to the proceeds of her harvest. As a result of the nine-month pilot project, AAPCL was able to procure and sell over 1,000 metric tons of maize, and the women farmers received an 11.5 percent increase in price for their maize. 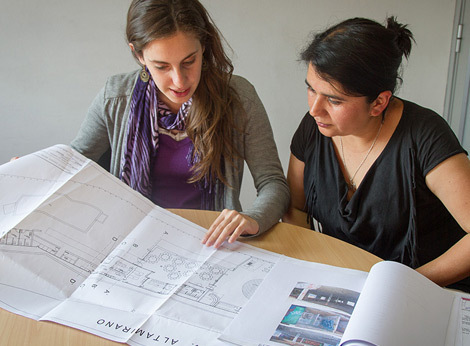 For Shakila and her associates, the success of the project has built a sense of ownership and pride in their work. Help producer organizations increase farmers’ bargaining power through technology. Lufefe Nomnjana noticed his neighbor’s unhealthy lifestyles every day. “Everything was unhealthy; the food eaten by the people, drugs, gangsterism, even the water people drank,” he said of his home in Khayelitsha township in South Africa. 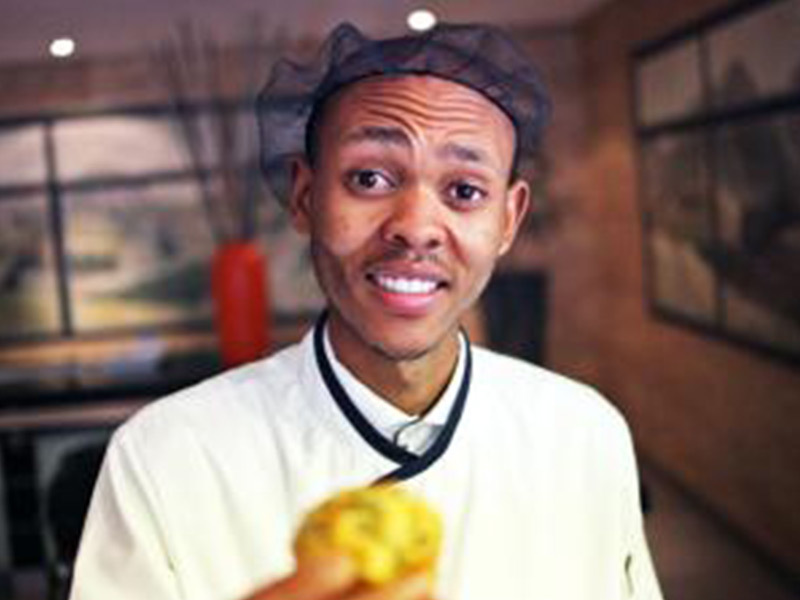 This inspired young Lufefe to launch his bakery, Espinaca Innovations, which sells bread, muffins and sandwiches baked with a special ingredient: spinach. Lufefe’s vision is to offer the people of his township a healthy alternative to the unhealthy food that is more readily available. In order to achieve this vision Espinaca Innovations needed to expand and grow. TechnoServe and Citi Foundation’s AWESAM program has provided Lufefe with the personalized business development support needed to get his bread into supermarket chains to increase his distribution. 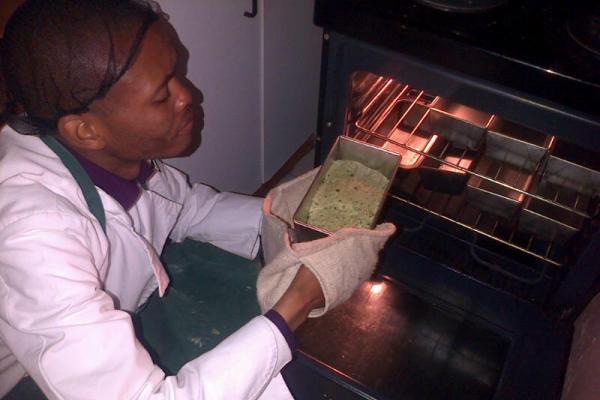 With increased demand for his healthy spinach bread from local retailers, Lufefe and his small staff bake 120 loaves a day. The program has supported 83 youth- and women-led businesses in South Africa to expand and grow past the early stage. Altogether in 2015, TechnoServe and Citi Foundation worked with more than 300 entrepreneurs across four African countries. For Lufefe this support has allowed him to expand his shop, which bakes 120 loaves a day and now employs five people. As a result of the project’s support, the bakery’s revenues increased by 56 percent. Lufefe was also able to put in place an accounting system, which will help him access additional funding as he continues to grow. Help young entrepreneurs grow their businesses and create new opportunities in their community. In 2013, Haitian mango farmer Marie-Carme Fils-Aime joined a farmer group named Leve Kanpay, Creole for “Rise Up” – and that is exactly what she did. With training provided by the Haiti Hope Project, she and her husband were able to grow more mangoes and profitably sell them on the export market to Whole Foods with USDA Organic and Fair Trade certification. Between 2011 and 2015, more than 25,000 farmers like Marie-Carme participated in the project, selling roughly $7.5 million of fruit. 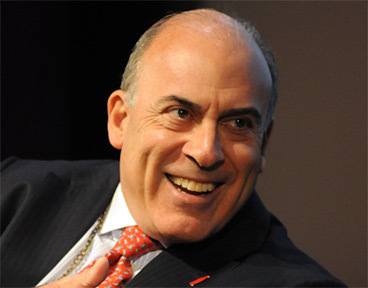 “We’re selling more than ever before, both in our own communities and around the world. And we’re organized to sell directly to the international market,” said Marie-Carme. 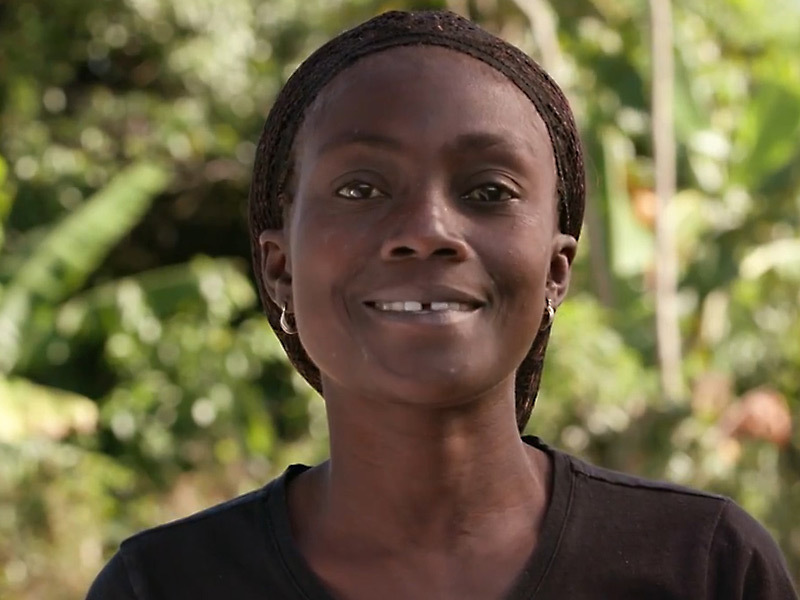 She also rose up through the ranks of her farmer group: when the Haiti Hope Project ended in 2015, Marie-Carme was appointed by Leve Kanpay to continue training members on good farming techniques. Marie-Carme and her fellow Haiti Hope farmers take us on a mango’s journey from tree to table. This is just one sign that the changes brought by the Haiti Hope project will continue long after its completion. Farmers who participated in Haiti Hope have planted more than 63,000 new mango trees, promising a future source of fruit and income. And TechnoServe has built the capacity of Haiti’s public and private sector to support and develop the mango value chain for years to come. Help smallholder farmers across the globe grow their income by supporting the development of sustainable value chains. Looking ahead at the Sustainable Development Goals, TechnoServe’s CEO offers on-the-ground insights on the intersection of business and development. 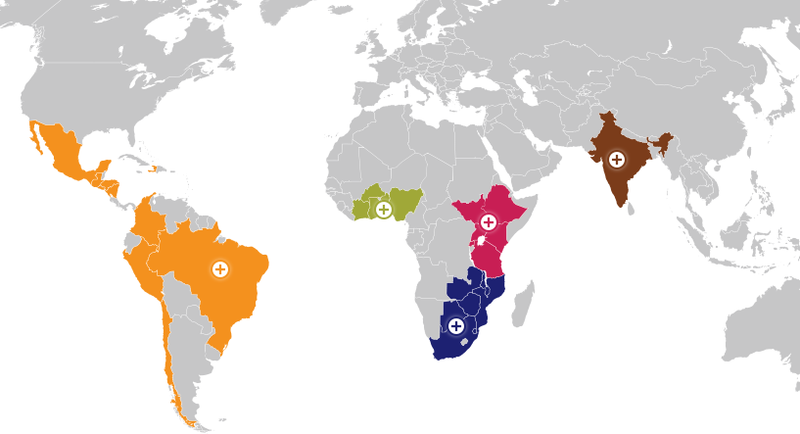 TechnoServe and Kellogg Company team up to train farmers in India and South Africa on climate-smart agriculture and to integrate more women into Kellogg’s supply chain. TechnoServe launches the Contract Farming R&D Coalition in Mozambique and Uganda to develop scalable innovations in sourcing from smallholder farmers. The first phase of STRYDE – TechnoServe’s flagship youth program – exceeds its target of 15,000 young men and women trained, paving the way for an expanded second phase. TechnoServe and J.P. Morgan partner to improve workforce readiness among youth in India. TechnoServe’s William Warshauer discusses win-win partnerships at the Shared Value Leadership Summit. McDonald’s promotes its sustainable coffee partnership with TechnoServe through posters displayed in McCafé locations around the U.S. 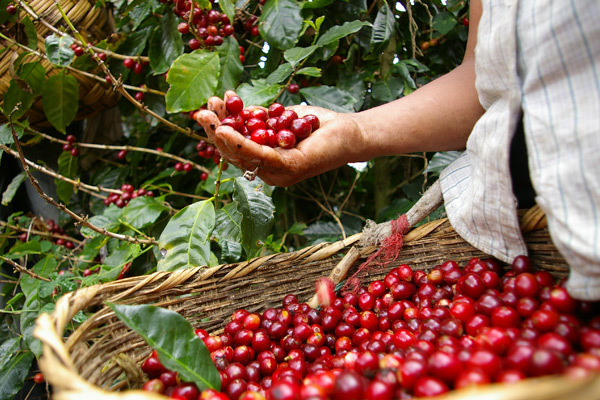 The Kraft Heinz Company and TechnoServe partner on a new coffee project in Honduras. TechnoServe adopts a gender policy defining how we will advance gender equality at the programmatic and organizational levels. TechnoServe and Unilever launch the Sunlight Water Center program to develop an innovative, women-focused solution to critical water challenges in Nigeria. 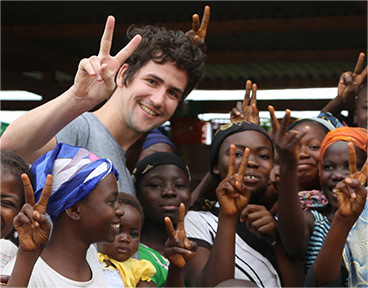 Time magazine profile TechnoServe's partnership with Nespresso in South Sudan. 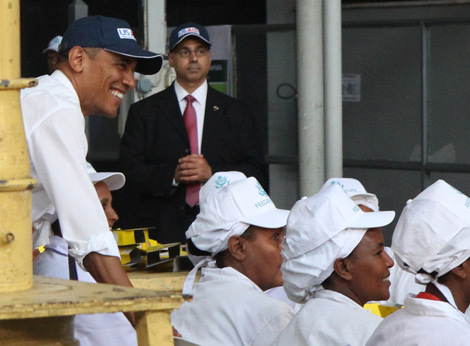 President Obama visits Faffa Food plant, a business supported by TechnoServe and Partners in Food Solutions in Ethiopia. A case study about the Economic Development Alliance program explores insights from our work to build a sustainable cocoa value chain in Peru. The Economist highlights TechnoServe’s coffee work in East Africa. The launch of Crece Tu Empresa (Grow Your Business) in El Salvador and Guatemala marks TechnoServe’s first youth-focused project in Latin America. Nespresso launches Suluja ti South Sudan, the first coffee exported from the world's youngest country, marking a significant milestone in TechnoServe’s partnership with Nespresso to revitalize South Sudan’s coffee industry. TechnoServe and ExxonMobil Foundation launch Women Business Connect to promote financial inclusion for women entrepreneurs in Tanzania and Mozambique through mobile technology. Several large projects – including Haiti Hope Project, Project Nurture and the Coffee Initiative – come to a successful close. 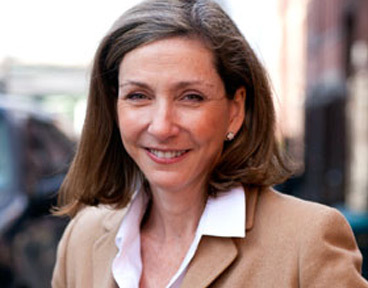 New York magazine lists TechnoServe as one of 101 charities to support during the holidays. Catalyzing $75.3 million in financial benefits, TechnoServe closes the year with stronger impact than ever before. A nonprofit organization operating in 29 countries, we work with enterprising men and women in the developing world to build competitive farms, businesses and industries. By linking people to information, capital and markets, we have helped millions to create lasting prosperity for their families and communities. With nearly 50 years of proven results, TechnoServe believes in the power of private enterprise to transform lives. In order to achieve our mission, TechnoServe helps grow strong markets that create income and jobs in poor communities.